11 C None No Power Seat 11 C is a standard Business Class seat that transforms into a fully-flat bed. The seat is located at a bulkhead. The proximity to the galley and lavatory area might be bothersome. 11 E None No Power Seat 11 E is a standard Business Class seat that transforms into a fully-flat bed. The seat is located at a bulkhead. The proximity to the galley and lavatory area might be bothersome. This seat and the one adjacent are ideal for a couple traveling together. 11 F None No Power Seat 11 F is a standard Business Class seat that transforms into a fully-flat bed. The seat is located at a bulkhead. The proximity to the galley and lavatory area might be bothersome. This seat and the one adjacent are ideal for couples traveling together. 11 H None No Power Seat 11 H is a standard Business Class seat that transforms into a fully-flat bed. The seat is located at a bulkhead. The proximity to the galley and lavatory area might be bothersome. 12 A None No Power Seat 12 A is a standard Business Class seat that transforms into a fully-flat bed. 12 D None No Power Seat 12 D is a standard Business Class seat that transforms into a fully-flat bed. 12 G None No Power Seat 12 G is a standard Business Class seat that transforms into a fully-flat bed. 12 K None No Power Seat 12 K is a standard Business Class seat that transforms into a fully-flat bed. 15 C None No Power Seat 15 C is a standard Business Class seat that transforms into a fully-flat bed. 15 E None No Power Seat 15 E is a standard Business Class seat that transforms into a fully-flat bed. This seat and the one adjacent are ideal for a couple traveling together. 15 F None No Power Seat 15 F is a standard Business Class seat that transforms into a fully-flat bed. This seat and the one adjacent are ideal for a couple traveling together. 15 H None No Power Seat 15 H is a standard Business Class seat that transforms into a fully-flat bed. 16 A None No Power Seat 16 A is a standard Business Class seat that transforms into a fully-flat bed. 16 D None No Power Seat 16 D is a standard Business Class seat that transforms into a fully-flat bed. 16 G None No Power Seat 16 G is a standard Business Class seat that transforms into a fully-flat bed. 16 K None No Power Seat 16 K is a standard Business Class seat that transforms into a fully-flat bed. 17 C None No Power Seat 17 C is a standard Business Class seat that transforms into a fully-flat bed. 17 E None No Power Seat 17 E is a standard Business Class seat that transforms into a fully-flat bed. This seat and the one adjacent are ideal for a couple traveling together. 17 F None No Power Seat 17 F is a standard Business Class seat that transforms into a fully-flat bed. This seat and the one adjacent are ideal for a couple traveling together. 17 H None No Power Seat 17 H is a standard Business Class seat that transforms into a fully-flat bed. 18 A None No Power Seat 18 A is a standard Business Class seat that transforms into a fully-flat bed. 18 D None No Power Seat 18 D is a standard Business Class seat that transforms into a fully-flat bed. 18 G None No Power Seat 18 G is a standard Business Class seat that transforms into a fully-flat bed. 18 K None No Power Seat 18 K is a standard Business Class seat that transforms into a fully-flat bed. 19 C None No Power Seat 19 C is a standard Business Class seat that transforms into a fully-flat bed. 19 E None No Power Seat 19 E is a standard Business Class seat that transforms into a fully-flat bed. This seat and the one adjacent are ideal for a couple traveling together. 19 F None No Power Seat 19 F is a standard Business Class seat that transforms into a fully-flat bed. This seat and the one adjacent are ideal for a couple traveling together. 19 H None No Power Seat 19 H is a standard Business Class seat that transforms into a fully-flat bed. 20 A None No Power Seat 20 A is a standard Business Class seat that transforms into a fully-flat bed. The proximity to the galley and lavatory area might be bothersome. 20 D None No Power Seat 20 D is a standard Business Class seat that transforms into a fully-flat bed. The proximity to the galley and lavatory area might be bothersome. 20 G None No Power Seat 20 G is a standard Business Class seat that transforms into a fully-flat bed. The proximity to the galley and lavatory area might be bothersome. 20 K None No Power Seat 20 K is a standard Business Class seat that transforms into a fully-flat bed. The proximity to the galley and lavatory area might be bothersome. 31 A None No Power Seat 31 A is a standard Economy Class seat located at a bulkhead. The seat features additional, although stretch restrictive, legroom. The tray table and inflight entertainment monitor are installed in a fixed armrest, therefore, seat width is slightly reduced. Floor storage for personal items is not available for use during take off and landing. The proximity to the galley and lavatory area might be bothersome. The seat is classified as an "Extra Legroom Seat" and may be selected for an additional fee. 31 C None No Power Seat 31 C is a standard Economy Class seat located at a bulkhead. The seat features additional, although stretch restrictive, legroom. The tray table and inflight entertainment monitor are installed in a fixed armrest, therefore, seat width is slightly reduced. Floor storage for personal items is not available for use during take off and landing. The proximity to the galley and lavatory area might be bothersome. The seat is classified as an "Extra Legroom Seat" and may be selected for an additional fee. 31 D None No Power Seat 31 D is a standard Economy Class seat located at a bulkhead. The seat features additional, although stretch restrictive, legroom. The tray table and inflight entertainment monitor are installed in a fixed armrest, therefore, seat width is slightly reduced. Floor storage for personal items is not available for use during take off and landing. The proximity to the galley and lavatory area might be bothersome. The seat is classified as an "Extra Legroom Seat" and may be selected for an additional fee. 31 E None No Power Seat 31 E is a standard Economy Class seat located at a bulkhead. The seat features additional, although stretch restrictive, legroom. The tray table and inflight entertainment monitor are installed in a fixed armrest, therefore, seat width is slightly reduced. Floor storage for personal items is not available for use during take off and landing. The proximity to the galley and lavatory area might be bothersome. The seat is classified as an "Extra Legroom Seat" and may be selected for an additional fee. 31 F None No Power Seat 31 F is a standard Economy Class seat located at a bulkhead. The seat features additional, although stretch restrictive, legroom. The tray table and inflight entertainment monitor are installed in a fixed armrest, therefore, seat width is slightly reduced. Floor storage for personal items is not available for use during take off and landing. The proximity to the galley and lavatory area might be bothersome. The seat is classified as an "Extra Legroom Seat" and may be selected for an additional fee. 31 G None No Power Seat 31 G is a standard Economy Class seat located at a bulkhead. The seat features additional, although stretch restrictive, legroom. The tray table and inflight entertainment monitor are installed in a fixed armrest, therefore, seat width is slightly reduced. Floor storage for personal items is not available for use during take off and landing. The proximity to the galley and lavatory area might be bothersome. The seat is classified as an "Extra Legroom Seat" and may be selected for an additional fee. 31 H None No Power Seat 31 H is a standard Economy Class seat located at a bulkhead. The seat features additional, although stretch restrictive, legroom. The tray table and inflight entertainment monitor are installed in a fixed armrest, therefore, seat width is slightly reduced. Floor storage for personal items is not available for use during take off and landing. The proximity to the galley and lavatory area might be bothersome. The seat is classified as an "Extra Legroom Seat" and may be selected for an additional fee. 31 K None No Power Seat 31 K is a standard Economy Class seat located at a bulkhead. The seat features additional, although stretch restrictive, legroom. The tray table and inflight entertainment monitor are installed in a fixed armrest, therefore, seat width is slightly reduced. Floor storage for personal items is not available for use during take off and landing. The proximity to the galley and lavatory area might be bothersome. The seat is classified as an "Extra Legroom Seat" and may be selected for an additional fee. 47 A None No Power Seat 47 A is a standard Economy Class seat located in a last row of the forward Economy Class cabin. Seat back recline might be limited due to the wall of the lavatory directly behind. Also, if the seat back in front is reclined, then personal space will be reduced. The proximity to the lavatory area might be bothersome. 47 C None No Power Seat 47 C is a standard Economy Class seat located in a last row of the forward Economy Class cabin. Seat back recline might be limited due to the wall of the lavatory directly behind. Also, if the seat back in front is reclined, then personal space will be reduced. The proximity to the lavatory area might be bothersome. 47 D None No Power Seat 47 D is a standard Economy Class seat located in a last row of the forward Economy Class cabin. Seat back recline might be limited due to the wall of the lavatory directly behind. Also, if the seat back in front is reclined, then personal space will be reduced. The proximity to the lavatory area might be bothersome. 47 E None No Power Seat 47 E is a standard Economy Class seat located in a last row of the forward Economy Class cabin. Seat back recline might be limited due to the wall of the lavatory directly behind. Also, if the seat back in front is reclined, then personal space will be reduced. The proximity to the lavatory area might be bothersome. 47 F None No Power Seat 47 F is a standard Economy Class seat located in a last row of the forward Economy Class cabin. Seat back recline might be limited due to the wall of the lavatory directly behind. Also, if the seat back in front is reclined, then personal space will be reduced. The proximity to the lavatory area might be bothersome. 47 G None No Power Seat 47 G is a standard Economy Class seat located in a last row of the forward Economy Class cabin. Seat back recline might be limited due to the wall of the lavatory directly behind. Also, if the seat back in front is reclined, then personal space will be reduced. The proximity to the lavatory area might be bothersome. 47 H None No Power Seat 47 H is a standard Economy Class seat located in a last row of the forward Economy Class cabin. Seat back recline might be limited due to the wall of the lavatory directly behind. Also, if the seat back in front is reclined, then personal space will be reduced. The proximity to the lavatory area might be bothersome. 47 K None No Power Seat 47 K is a standard Economy Class seat located in a last row of the forward Economy Class cabin. Seat back recline might be limited due to the wall of the lavatory directly behind. Also, if the seat back in front is reclined, then personal space will be reduced. The proximity to the lavatory area might be bothersome. 48 A None No Power Seat 48 A is a standard Economy Class seat located in an Exit Row. There is additional legroom and additional personal space due to the lack of a seat directly ahead. However, the protrusion from the exit door might take away some of the additional legroom. The tray table and inflight entertainment monitor are installed in a fixed armrest, therefore, seat width is slightly reduced. Floor storage for personal items is not available for use during takeoff and landing. The proximity to the lavatory area might be bothersome. The seat is classified as an "Extra Legroom Seat" and may be selected for an additional fee. 48 C None No Power Seat 48 C is a standard Economy Class seat located in an Exit Row. There is additional legroom and additional personal space due to the lack of a seat directly ahead. The tray table and inflight entertainment monitor are installed in a fixed armrest, therefore, seat width is slightly reduced. Floor storage for personal items is not available for use during takeoff and landing. The proximity to the lavatory area might be bothersome. 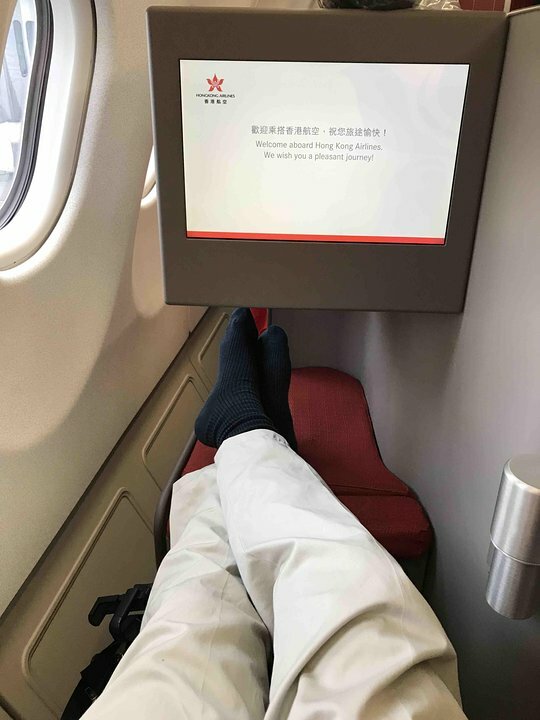 The seat is classified as an "Extra Legroom Seat" and may be selected for an additional fee. 48 D None No Power Seat 48 D is a standard Economy Class seat located at a bulkhead. There is additional legroom and additional personal space due to the lack of a seat directly ahead. The tray table and inflight entertainment monitor are installed in a fixed armrest, therefore, seat width is slightly reduced. Floor storage for personal items is not available for use during takeoff and landing. The proximity to the lavatory area might be bothersome. The seat is classified as an "Extra Legroom Seat" and may be selected for an additional fee. 48 E None No Power Seat 48 E is a standard Economy Class seat located at a bulkhead. There is additional legroom and additional personal space due to the lack of a seat directly ahead. The tray table and inflight entertainment monitor are installed in a fixed armrest, therefore, seat width is slightly reduced. Floor storage for personal items is not available for use during takeoff and landing. The proximity to the lavatory area might be bothersome. The seat is classified as an "Extra Legroom Seat" and may be selected for an additional fee. 48 F None No Power Seat 48 F is a standard Economy Class seat located at a bulkhead. There is additional legroom and additional personal space due to the lack of a seat directly ahead. The tray table and inflight entertainment monitor are installed in a fixed armrest, therefore, seat width is slightly reduced. Floor storage for personal items is not available for use during takeoff and landing. The proximity to the lavatory area might be bothersome. The seat is classified as an "Extra Legroom Seat" and may be selected for an additional fee. 48 G None No Power Seat 48 G is a standard Economy Class seat located at a bulkhead. There is additional legroom and additional personal space due to the lack of a seat directly ahead. The tray table and inflight entertainment monitor are installed in a fixed armrest, therefore, seat width is slightly reduced. Floor storage for personal items is not available for use during takeoff and landing. The proximity to the lavatory area might be bothersome. The seat is classified as an "Extra Legroom Seat" and may be selected for an additional fee. 48 H None No Power Seat 48 H is a standard Economy Class seat located in an Exit Row. There is additional legroom and additional personal space due to the lack of a seat directly ahead. The tray table and inflight entertainment monitor are installed in a fixed armrest, therefore, seat width is slightly reduced. Floor storage for personal items is not available for use during takeoff and landing. The proximity to the lavatory area might be bothersome. The seat is classified as an "Extra Legroom Seat" and may be selected for an additional fee. 48 K None No Power Seat 48 K is a standard Economy Class seat located in an Exit Row. There is additional legroom and additional personal space due to the lack of a seat directly ahead. However, the protrusion from the exit door might take away some of the additional legroom. The tray table and inflight entertainment monitor are installed in a fixed armrest, therefore, seat width is slightly reduced. Floor storage for personal items is not available for use during takeoff and landing. The proximity to the lavatory area might be bothersome. The seat is classified as an "Extra Legroom Seat" and may be selected for an additional fee. 60 C None No Power Seat 60 C is a standard Economy Class seat. 60 D None No Power Seat 60 D is a standard Economy Class seat. 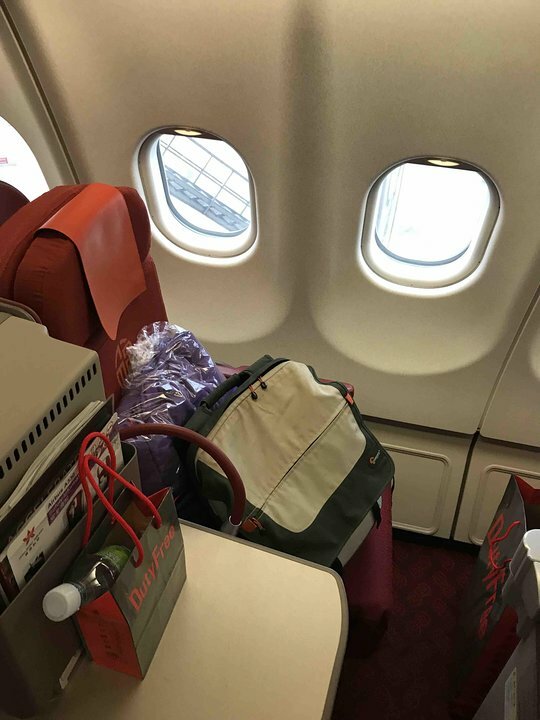 The seat back, due to aisle positioning, might be bumped by a passenger or crew member passing from the rear of the aircraft. 60 G None No Power Seat 60 G is a standard Economy Class seat. The seat back, due to aisle positioning, might be bumped by a passenger or crew member passing from the rear of the aircraft. 60 H None No Power Seat 60 H is a standard Economy Class seat. 61 C None No Power Seat 61 C is a standard Economy Class seat. The proximity to the galley and lavatory area might be bothersome. 61 D None No Power Seat 61 D is a standard Economy Class seat that is not aligned with the row in front. The alignment will affect underseat storage and legroom. The tray table and IFE monitor are installed in a fixed armrest, therefore, seat width is slightly reduced. 61 E None No Power Seat 61 E is a standard Economy Class seat that is not aligned with the row in front. The alignment will affect underseat storage and legroom. The tray table and IFE monitor are installed in a fixed armrest, therefore, seat width is slightly reduced. 61 G None No Power Seat 61 G is a standard Economy Class seat that is not aligned with the row in front. The alignment will affect underseat storage and legroom. The tray table and IFE monitor are installed in a fixed armrest, therefore, seat width is slightly reduced. 61 H None No Power Seat 61 H is a standard Economy Class seat. The proximity to the galley and lavatory area might be bothersome. 62 A None No Power Seat 62 A is a standard Economy Class seat located in a last row of the aircraft. Seat back recline might be limited due to the wall of the lavatory directly behind. Also, if the seat back in front is reclined, then personal space will be reduced. The proximity to the galley and lavatory area might be bothersome. 62 C None No Power Seat 62 C is a standard Economy Class seat located in a last row of the aircraft. Seat back recline might be limited due to the wall of the lavatory directly behind. Also, if the seat back in front is reclined, then personal space will be reduced. The proximity to the galley and lavatory area might be bothersome. 62 D None No Power Seat 62 D is a standard Economy Class seat that is not aligned with the row in front. The alignment will affect underseat storage and legroom. The tray table and IFE monitor might be installed in a fixed armrest, therefore, seat width might be slightly reduced. 62 E None No Power Seat 62 E is a standard Economy Class seat that is not aligned with the row in front. The alignment will affect underseat storage and legroom. The tray table and IFE monitor might be installed in a fixed armrest, therefore, seat width might be slightly reduced. 62 G None No Power Seat 62 G is a standard Economy Class seat that is not aligned with the row in front. The alignment will affect underseat storage and legroom. The tray table and IFE monitor might be installed in a fixed armrest, therefore, seat width might be slightly reduced. 62 H None No Power Seat 62 H is a standard Economy Class seat located in a last row of the aircraft. Seat back recline might be limited due to the wall of the lavatory directly behind. Also, if the seat back in front is reclined, then personal space will be reduced. The proximity to the galley and lavatory area might be bothersome. 62 K None No Power Seat 62 K is a standard Economy Class seat located in a last row of the aircraft. Seat back recline might be limited due to the wall of the lavatory directly behind. Also, if the seat back in front is reclined, then personal space will be reduced. The proximity to the galley and lavatory area might be bothersome. 63 D None No Power Seat 63 D is a standard Economy Class seat. The proximity to the galley and lavatory area might be bothersome. 63 G None No Power Seat 63 G is a standard Economy Class seat. The proximity to the galley and lavatory area might be bothersome. 64 D None No Power Seat 64 D is a standard Economy Class seat located in a last row of the aircraft. Seat back recline might be limited due to the wall of the lavatory directly behind. Also, if the seat back in front is reclined, then personal space will be reduced. The proximity to the galley and lavatory area might be bothersome. 64 E None No Power Seat 64 E is a standard Economy Class seat located in a last row of the aircraft. Seat back recline might be limited due to the wall of the lavatory directly behind. Also, if the seat back in front is reclined, then personal space will be reduced. The proximity to the galley and lavatory area might be bothersome. 64 G None No Power Seat 64 G is a standard Economy Class seat located in a last row of the aircraft. Seat back recline might be limited due to the wall of the lavatory directly behind. Also, if the seat back in front is reclined, then personal space will be reduced. The proximity to the galley and lavatory area might be bothersome. A variety of international music selections are available to enjoy. Selections are displayed on each seats' inflight entertainment monitor. Multiple selections of classic, Chinese, current, documentary, and other international films plus a variety of television programs are available for viewing. Also included in the selection are several video games. All video selections are displayed on each seats' inflight entertainment monitor. 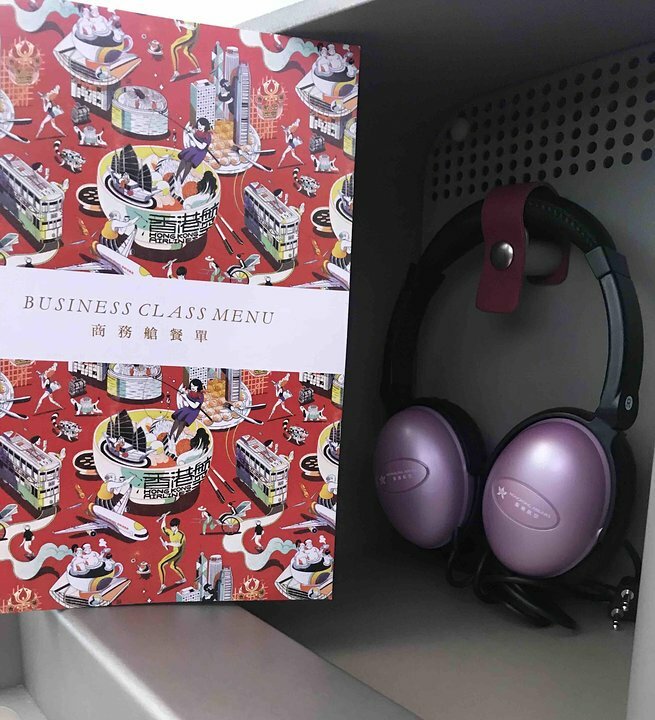 AC power ports are available in Business Class only. Complimentary beverages, snacks, and meals are served while onboard. Service depends on time of day and the length of flight. Special meals for medical, dietary, and religious conditions may be requested through the reservations contact centre up to 24 hours prior to departure time. Hong Kong Airlines flies their Airbus A330-300 on mid-haul routes. This two-class configuration has 32 Business Class seats and 260 Economy Class seats. The Business Class seating on this version is configured in a 1-2-1 arrangement with seats that transform into fully-flat beds. Extra Legroom Seats offering additional legroom in Economy Class may be selected for an additional fee. Hong Kong Airlines flies 2 versions of Airbus A330-300.